We have all been where you are right now. Investing in your dreams is one of the biggest and much nerve-wrecking experiences you can go through. And the notion of adding on one more expense can seem daunting. We understand because we have been there too. At The Planners Suite Conference, this is your chance to truly invest in yourself the right way with the backing of an entire community. * with the remaining balance split into equal payments. Can't remember the one piece of advice from an expert speaker that you know will propel you forward? Premium Recordings of Every Main Stage Speaker! As an add-on to your registration, you will receive a virtual recording of each Main Stage Expert Speaker as well as their presentations. We understand in the heat of the moment you can be so caught up with the excitement that you miss a few key points. Think of this as your personal coaching from the experts long after the conference is over! Do you want a more personal and one-on-one experience with someone who cares about you and the growth of your business? "This seems amazing but I can't afford the full payment." We are now offering for the first time ever payment options for those who want to spread out the cost. Reserve your seat at The Planners Suite for only $159. 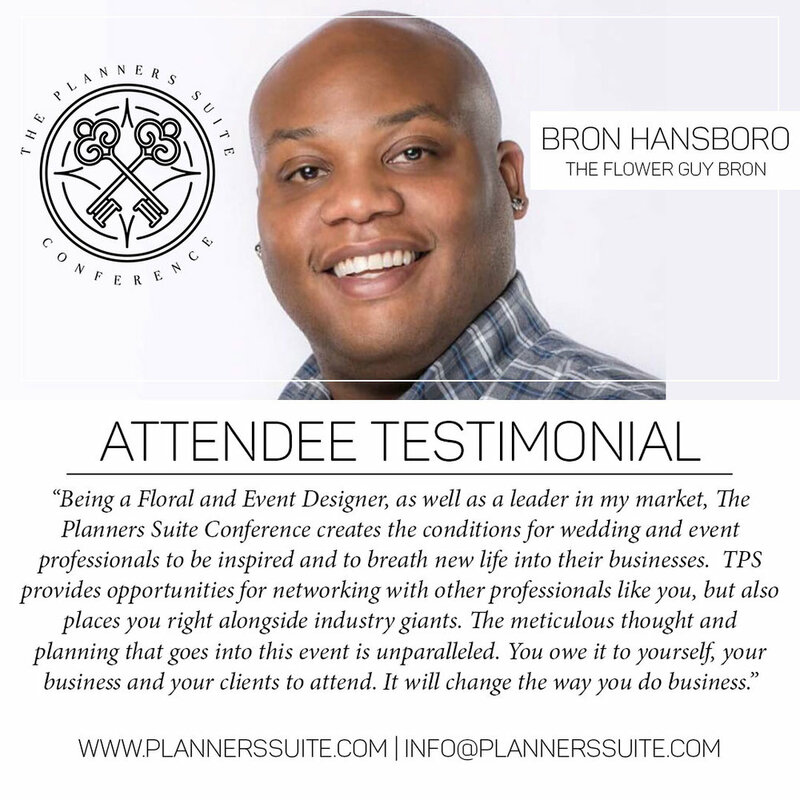 The Planners Suite Conference is brought to you by Completely Yours Events + Design.